I am quite efficient when it comes to shopping. During my less than 24 hr stay in Shanghai, I managed to squeeze in an hour of shopping. My first stop was the no name shop on Changle Road. Picked up a few items from there and discovered another shop that is worth checking out. 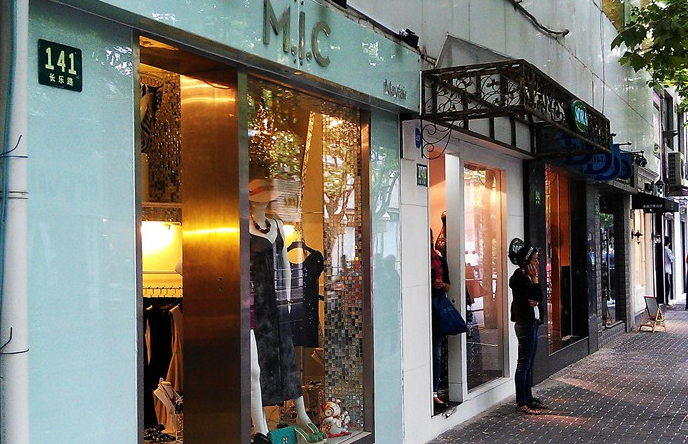 M.I.C Mayfair, located on no. 141 Changle Road was opened at the beginning of the year. 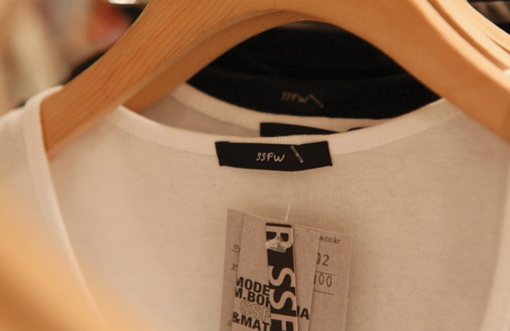 The shop carries products from overseas at a discounted price, each item ranges from $400 – $800. They have two floors, upper level is for more formal wear. They also have a tiny corner for accessories. When I walked into the store, I actually saw a piece of item that I bought in another country! Sharing with Oriental Daily about my dog’s one year old birthday party. Found a couple of budget vintage items over the weekend at Vintage HK. Hermoso Vintage Jewlery. Online Shop. Midwest. 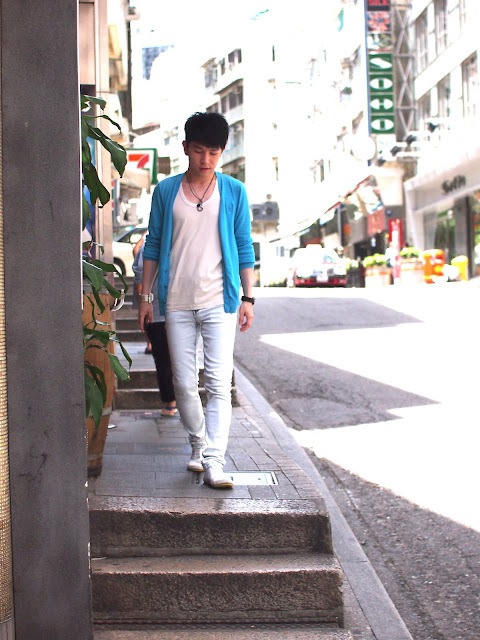 Shop 58, G/F Victoria Centre, 15 Watson Road, Tin Hau. 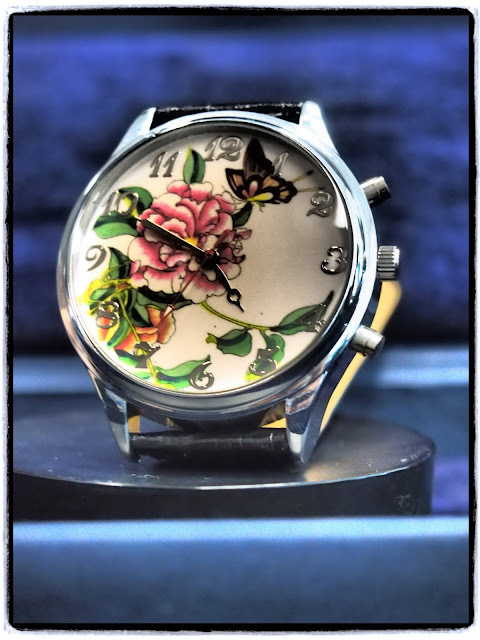 Do let us know if you know of any other vintage finds in HK, we will be updating this list periodically. 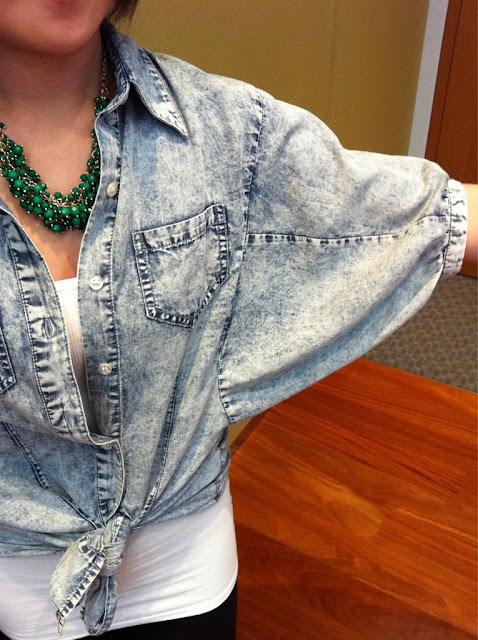 Help spread the vintage love! 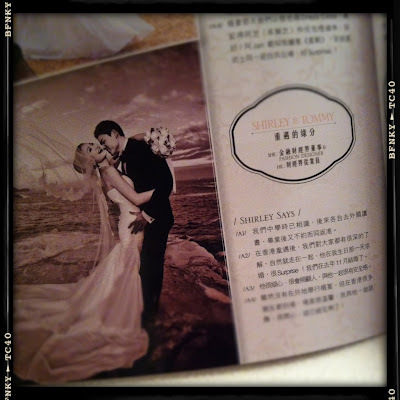 Sharing my love story with Bridal magazine (July 2011) by Oriental Daily. 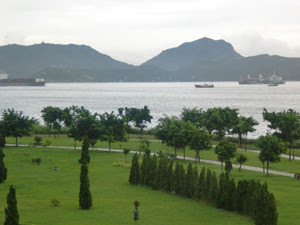 The park stretches along the shoreline of Cyberport. There’s a huge area for your dog to run around while you mingle with other dog lovers. You can also park your car right next to the park. This is my favorite spot to bring my dog. This will involve a bit of hiking. If your dog is ready to hike a bit, this will be the place for you. If you expect to see a lot of other dogs in a huge playground, this will not be the place for you. 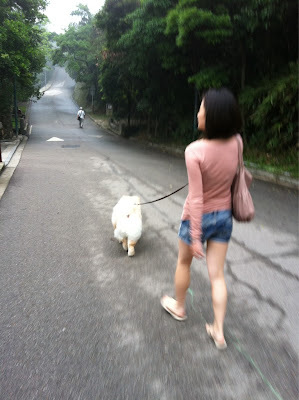 There is a private road next to the Peak Lookout, a dog friendly restaurant, that leads you to the top of the peak. You will have to do a bit of hiking before you reach the dog friendly park. You may want to try and drive your car up. If you want to be a bit more hands on with your dog, you can take the pet grooming class they offer. 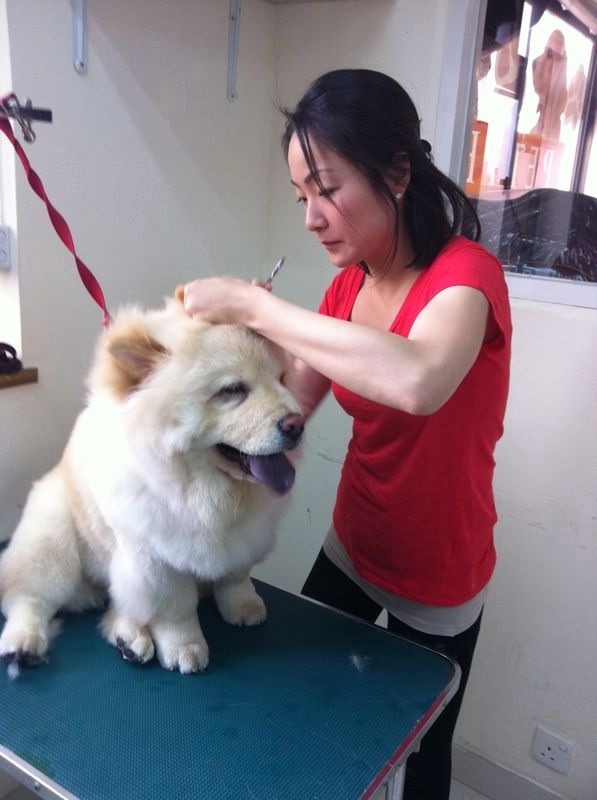 The 6 hour class will take you through all the basics you need to know to groom your own pet. Other than that, they also offer massage therapy for your dog. 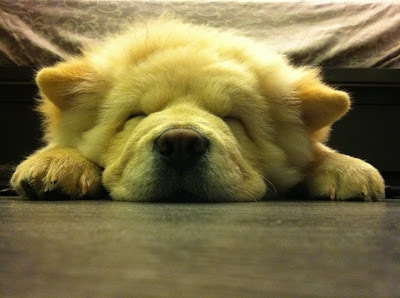 If your dog does not sleep at night, you may want to take your dog there for a nice massage for a good night sleep! If you have a super furry dog like Cotton, it may not be a good idea to take them out for a walk under such heat. Alternatively, you can take your dog out for a swim at Dogaroo. They offer individual swimming lessons for your dog. Their bakeries are made with natural ingredients. Prices for cakes range from $120 – $300. They also offer cupcakes and rich, creamy peanut butter biscuits that will make you and your dog drool. 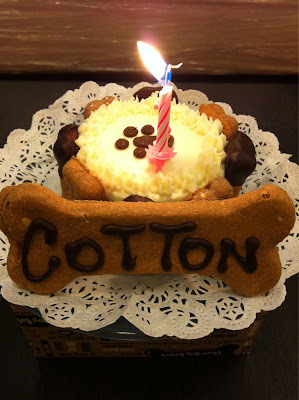 Cotton is very picky with his snacks and he absolutely loved their cakes there. 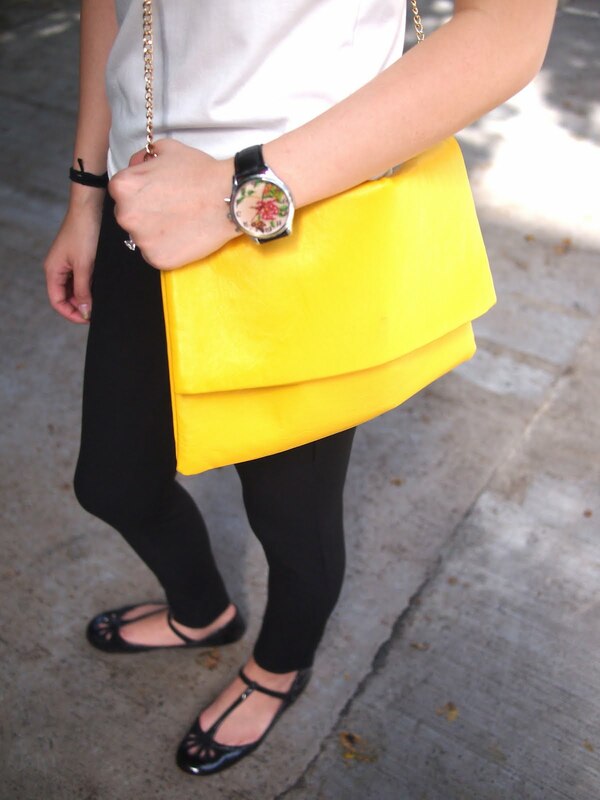 If you have been following us, you will know that we have recently completed our first project – 3 looks for under 2k. Attached here is the making of the StyleInk Project #1. Enjoy!